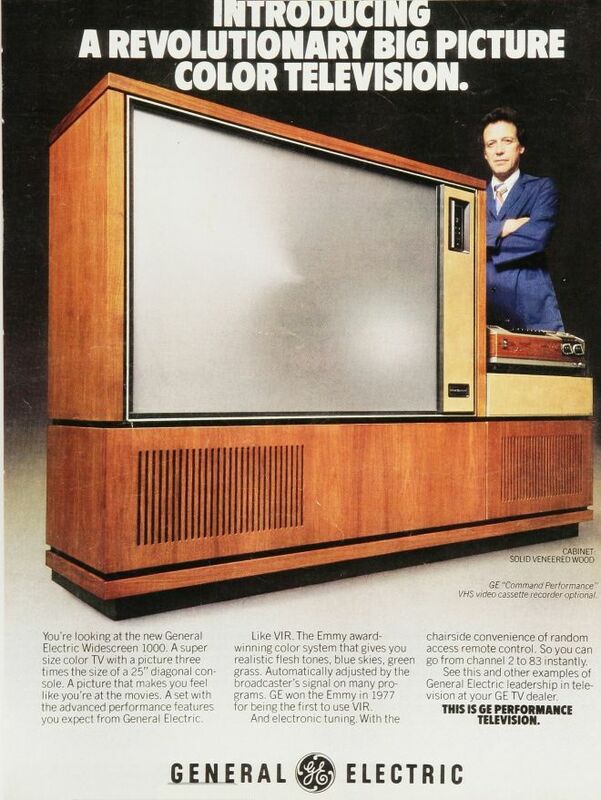 Yet, in 1978, we didn’t have two-inch thick flat-panel displays or solid-state RAM to record our favorite shows. Instead, we relied on the good ol’ cathode ray tube–and that’s what this thing was at its core. The General Electric Widescreen 1000 employed a CRT monitor that was laid on its back and then had its magnified image projected onto a larger screen. You can go from channel 2 to channel 83 instantly! This entry was posted on October 26, 2012 at 2:07 pm and is filed under General Interest. You can follow any responses to this entry through the RSS 2.0 feed. You can leave a response, or trackback from your own site.